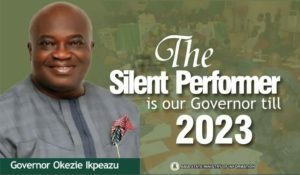 The last may not have been heard about the Abia State APC presidential campaign yesterday that recorded the abysmal attendance in the history of Presidential campaigns in Nigeria. The event has gone down in history as the biggest flop of the century going by the recorded attendance and the low commitment of party faithfuls. 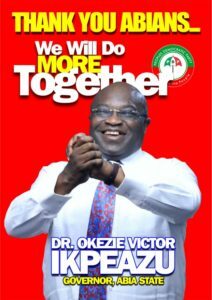 In fact, the event of yesterday proved that there is no APC in Abia. 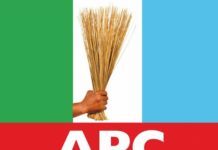 Majority of Abians have likened it to a party ward meeting held by a factional Chairmanship aspirant. A national tabloid ( The Sun Newspapers) owned by a self imposed leader of APC in Abia State could not find a space to talk about Abia State APC presidential rally but it’s front page of 30th January edition has a photograph of the Imo State APC presidential campaign rally. The party faithfuls who are still battling on which court judgement to rely on were scattered at the field with posters of different candidates contesting for a single position. 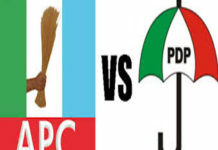 The confusion which was self imposed is as a result of factions in APC in the State which led to many groups lay claim to the gubernatorial ticket and commenced separate campaigns for Ikechi Emenike and Uche Ogah as their separate candidates. 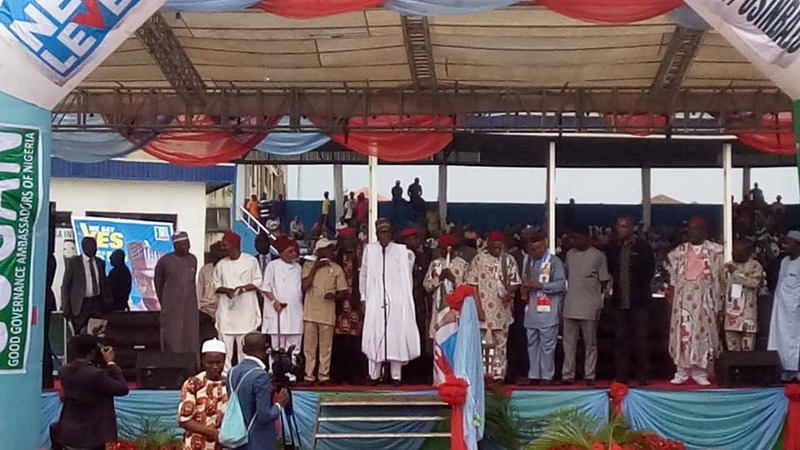 President Buhari was so disappointed at the newly reconstructed Enyimba International Stadium in Aba yesterday. PMB must’ve noticed that his party exists only on Facebook. 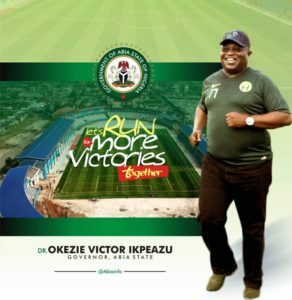 The Director General of President Buhari’s Campaign H.E. Rotimi Amaechi, stayed away from Aba rally and participated in the Owerri rally of the party. 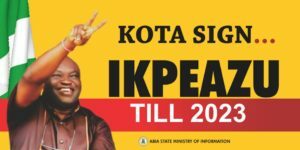 His absent should not be taken for granted since his former account manager Mr. Alex Otti is also running on another platform for a position he (Amaechi) was expected to openly canvass for his party’s candidate. Could it be also that his support is more to Mr Emenike who is a long time close ally of President Buhari? 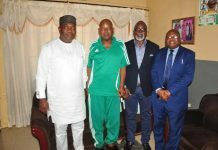 It was also noticed that the Minister of Trade and Investment , Dr. Emelana, an Abia State born economic expert distanced himself from the rally. 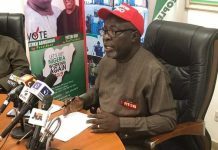 It was rumoured that the technocrat vowed not to have anything to do with fraudsters who have gathered to lie and milk the Presidency and other innocent victims in the name of party politics. 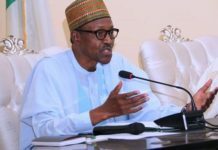 That OUK openly came out and stood before the President to campaign for him should be a great concern to Nigerians and the President who singled out ‘fight against corruption’ as his major campaign point. 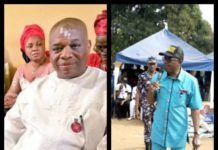 Perhaps you don’t remember, Orji Uzor Kalu was recently declared wanted by the Court and EFCC for travelling outside the country while his travelling documents were still with the court over a fraud case of #7.2 billion that was committed while he was a Governor of Abia State.